Is this the most powerful natural anti-inflammatory available? Every now and then researchers conduct a groundbreaking study showing the incredible effectiveness of a simple herbal extract. Such a study was published just this last month. 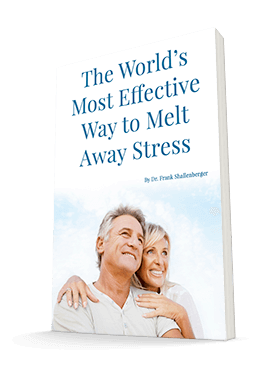 And if you're suffering from excessive inflammation — and especially inflammation from hepatitis — this study is very important. In this study, the researchers took a group of mice and created liver damage. To cause this damage, they used a chemical that causes the same kind of inflammation in the liver that hepatitis C viral infections cause. They gave half of the mice an extract of licorice. Then they measured all of the pro-inflammatory substances that the liver makes when it's infected. For the technically minded, they specifically looked at these pro-inflammatory mediators: inducible nitric oxide synthase, cyclooxygenase-2, tumor necrosis factor-alpha, interleukin-1 beta, and interleukin-6. They also measured the level of liver enzymes and the amount of damage to the livers. The results were truly amazing. The mice that they treated with the licorice extract showed a very large decrease in the amount of the pro-inflammatory substances. In some cases, it completely blocked the substances. And because of this effect, the licorice mice had complete protection of their livers from the chemical damage. 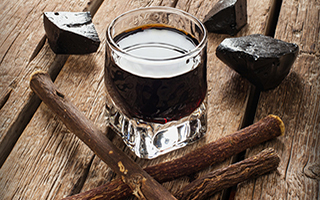 The reason the results are so important is that it substantiates many of the traditional claims of licorice extract. And, according to the authors, it also suggests that its "three bioactive components can be applied for the treatment of inflammation-related disorders, such as oxidative liver damage and inflammation diseases." In other words, we can use licorice extract in virtually all cases of liver inflammation, including hepatitis C and auto-immune hepatitis. In addition, we also can use it to treat other inflammatory diseases, such as rheumatoid arthritis, lupus, scleroderma, MS, etc. Over the years, I've had a great deal of success treating inflammatory diseases with licorice. This is the exact reason why I put such a high dose of licorice extract in a product I designed called Advanced Adrenal Factor. It's turned out to be one of the best products I've ever come up with. Advanced Adrenal Factor can be used in virtually every disease there is from cancer to arthritis. Why? Because all of these diseases have one common characterization: inflammation. And by the way, the fact that this study shows that licorice blocks the pro-inflammatory cyclooxygenase-2 pathway should not go unnoticed. This is the same pathway that one of the most prescribed anti-inflammatory medications, Celebrex, works on. In addition, it also blocks tumor necrosis factor-alpha in the same way that the most popular auto-immune drugs do: Remicade, Humira, and Enbrel. Except, of course, it has nowhere near the dangerous side effects, so you can purchase it over-the-counter and use it safely. Yu JY, Ha JY, et al. Anti-Inflammatory Activities of Licorice Extract and Its Active Compounds, Glycyrrhizic Acid, Liquiritin and Liquiritigenin, in BV2 Cells and Mice Liver. Molecules. 2015 Jul 20;20(7):13041-13054.